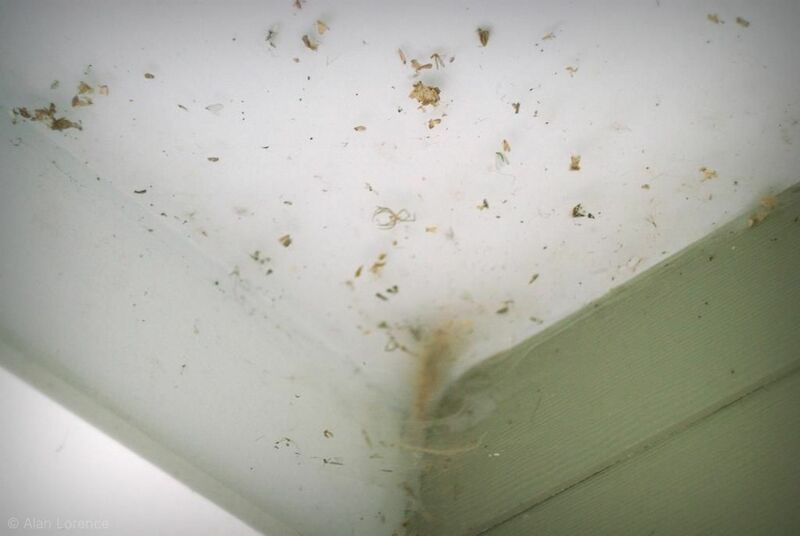 How many spiders call your garden home? By some estimates and depending on the type of garden you have (grassy, forested, etc.) it could be thousands or tens of thousands. They clearly are the most abundant predator in gardens.. This is the time of year when the large orb weavers spin their webs across the garden paths, making early-morning walks treacherous, but right now a few other spiders have my attention: the ones decorating the front porch! I've always had a relaxed attitude about Nature outdoors: letting volunteer plants decide where to grow, letting birds nest where they want, and leaving spiders alone. I don't have the heart to callously destroy their work, so I let them be. I made this one look scarier than it is. 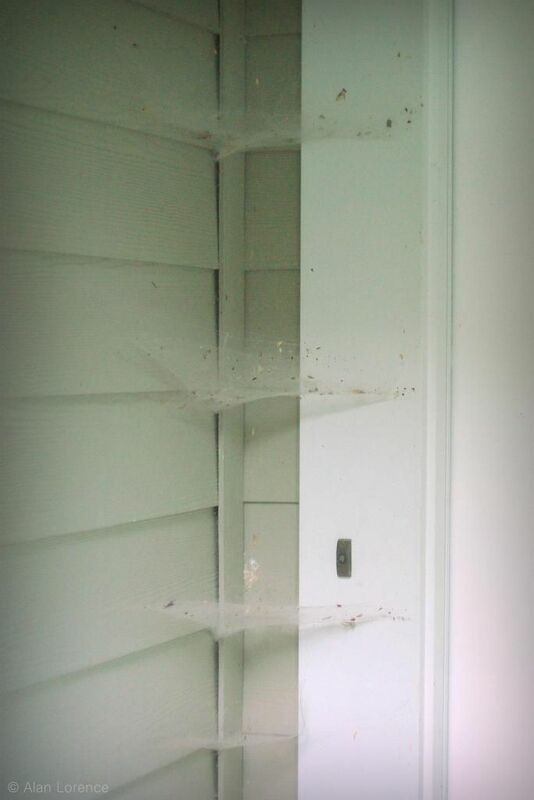 These webs have actually been here for at least a month, but now that it's October and Halloween is fast approaching, what's the point of removing them? If you don't like the ones at eye level, then don't look up! I guess this is why my neighbor knocked yesterday rather than ringing? 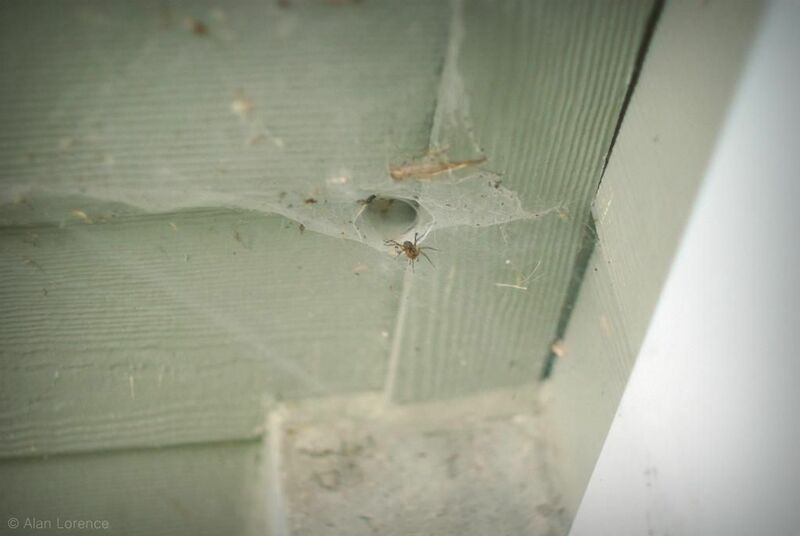 Not everybody appreciates a good spiderweb (including half of the residents in this house), but I do! 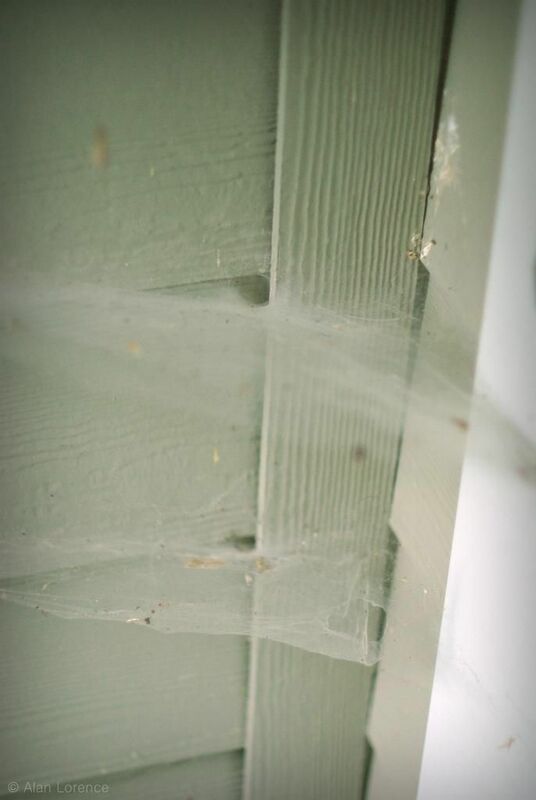 I like spider webs to a point. If I don't find the spider on a search as being not poisonous, then the web goes. 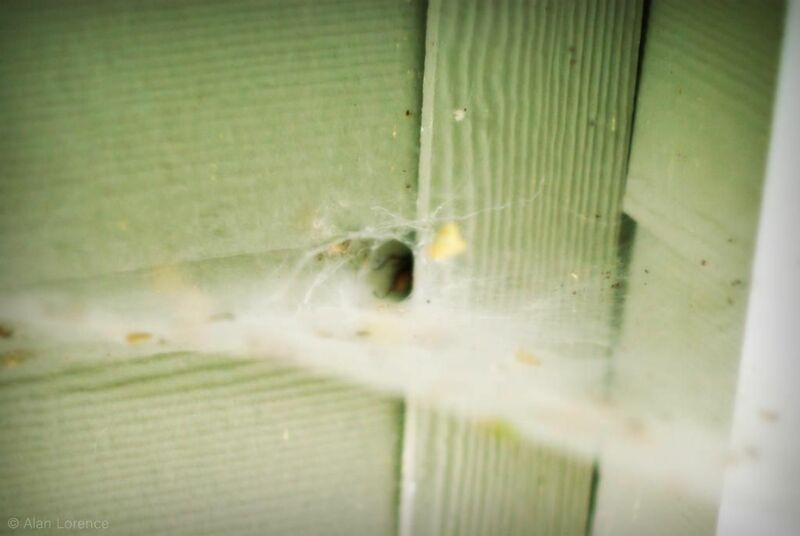 Maywyn: the only poisonous spiders here are the ones that hide in dark places, and they don't spin webs like these! I admire spiders and their handiwork. Not fond of walking into those webs across the paths. You have a great idea for free Halloween décor!